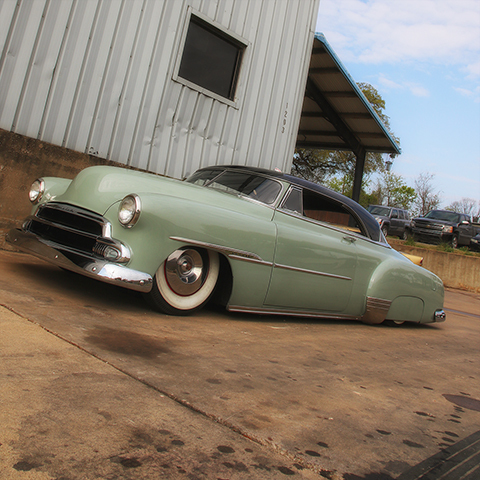 Murray Kustom Rods can handle your custom hot rod needs at any stage of your project. 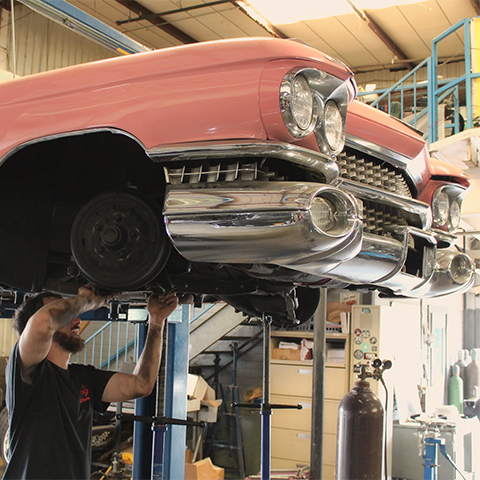 Whether you need a full build-up of a car/truck, custom fabrication work, or repairs on your existing creation, we are Fort Worth's premier custom hot rod shop—we can help you build the hot rod of your dreams. 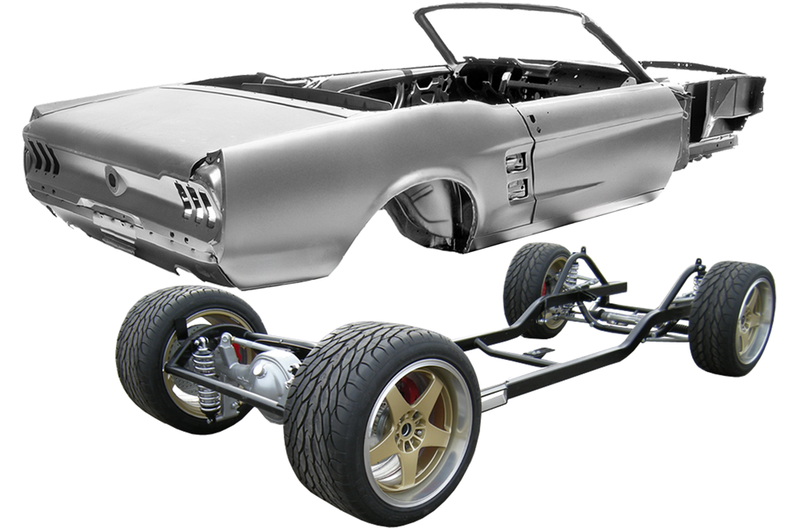 We can build you a chassis from scratch to look like it belongs to the styling of your car. Sometimes an off the shelf chassis will work just fine for you and sometimes they just look out of place. We are very versatile with our styling and can build you a frame that is appropriate under your car or we can simply modify what you currently have to do what you need it to do. We are comfortable with just about any combination you can throw at us here. We can help you with any kind of sprung suspension: Air Ride, Coil-Overs, Coil Springs, Leaf Springs, Transverse Leaf Springs, Hydraulics, and many others. Our facilities include a complete precision metal fabrication shop with the capabilities to serve not only automotive, but a wide variety of other industries as well. 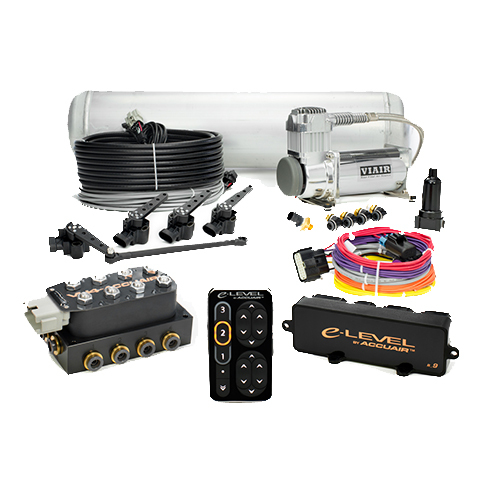 We provide innovative, reliable solutions for automotive, aviation, restaurant, manufacturing, and much more. We specialize in T.I.G. 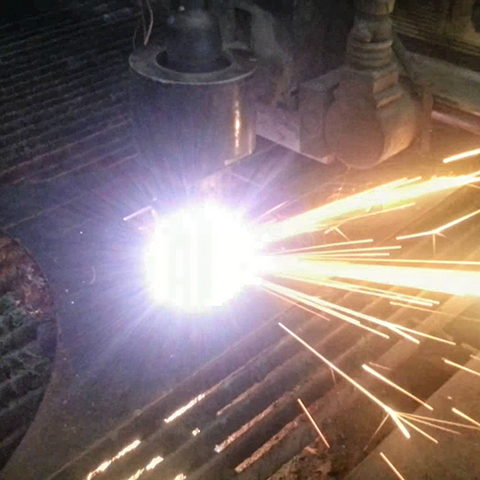 welding of most metals. We weld aluminum, stainless steel, and steel in a variety of thicknesses ranging from sheet metal to plate on a daily basis. 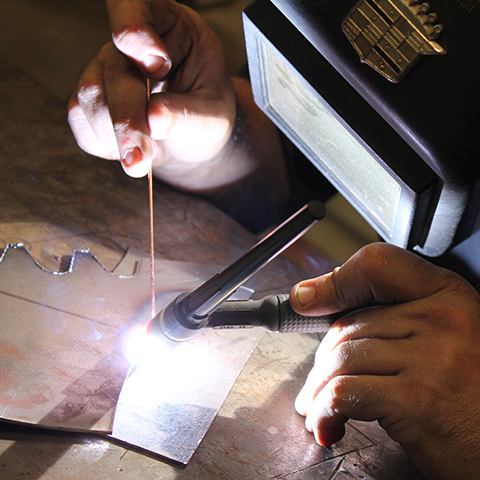 We have served many industries with our welding expertise, including aviation, automotive, restaurant, manufacturing, and much more. 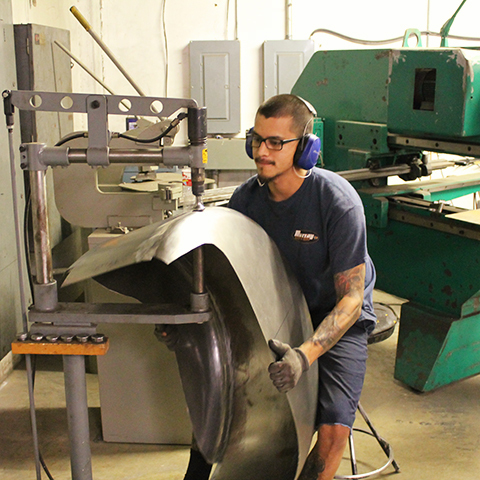 We have invested in numerous sheet metal tools over the past decade and have honed our skills at providing high quality sheet metal fabrication. 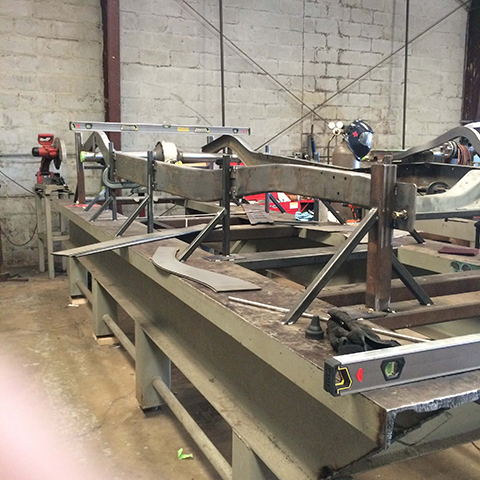 We are able to effectively tackle any sheet metal project, whether it is repairing an existing panel or forming something custom to your project. We strive for work where the customer cannot tell that anything has been done. Common services in this area are chop tops, panel fabrication, panel replacement, shaving door handles, shaving hoods, shaving decklids, building firewalls, building wheel tubs, fitting custom lights, etc. Our ability to design & create precision parts in 2D or 3D has allowed us to serve many industries with our engineering expertise. 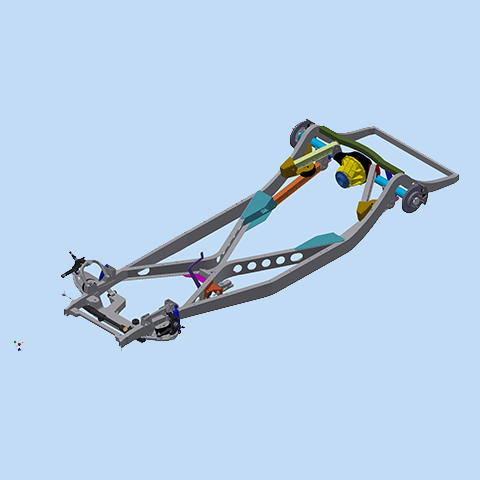 We design components, parts, chassis’, etc., testing all parameters to ensure they will work effectively and reliably before starting the fabrication process. This allows more efficient duplication of parts, and our computer-controlled technologies allow us to build parts less expensively than traditional methods. From the very inception of your project, we can help you envision and work toward the finished product. We provide expertise and proven experience in design, overall theme, and best practices to successfully achieve your objective. We have studied all details of classic automotive styling, offering you a sure path to outstanding results. 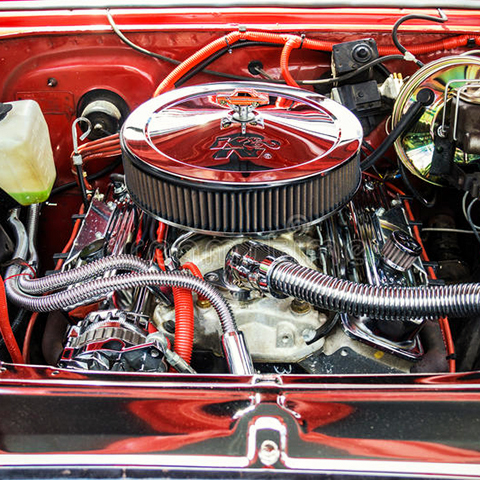 The simplest touches on an automotive project can make or break the project. We sweat those details. Not only do we build and sell many custom and hard-to-find parts, we also sell virtually any automotive-related part presently available. Our prices are always very competitive, and we welcome the opportunity to help you with the purchase of your parts. If what you need isn’t available, we can help you make it. We offer unparalleled experience and expertise when it comes to rust repair, coming full-circle to meet with our related sheet metal abilities. We can build virtually any panel with any type of OEM bead work or body lines. This may be a floorpan, a trunk pan, firewall, or any exterior panels as well. 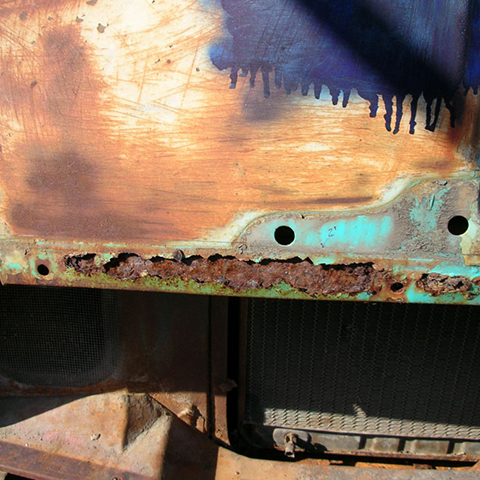 We pride ourselves on doing repairs that are not visible after the work has been done; the rust repairs look as if the panel never had an issue. We want our work to match the same level of quality as the OEM's. Many of our customers prefer to have us perform required service on their vintage "babies". We offer our customers a complete line of services ranging from a simple oil change to a full engine swap. With our broad experience in vintage automotive repair and service, customers feel more comfortable leaving their brake job to us, rather than "Just Brakes", or their oil change to us, rather than "Jiffy Lube". If your vintage car needs service, we can do it! We have all experienced “buyer’s remorse” with some purchase in our lifetimes. Next time you make a specialty auto purchase, make it with confidence. We will travel to your prospective purchase and evaluate the car from top to bottom, test drive it, and then give you a full detailed checklist along with pictures; all in a timely manner.